A gift timepiece for Pratt Institute alumni, “Discobolus” is a key wound analong clock named after the Greek statue, Diskobolos of Myron. 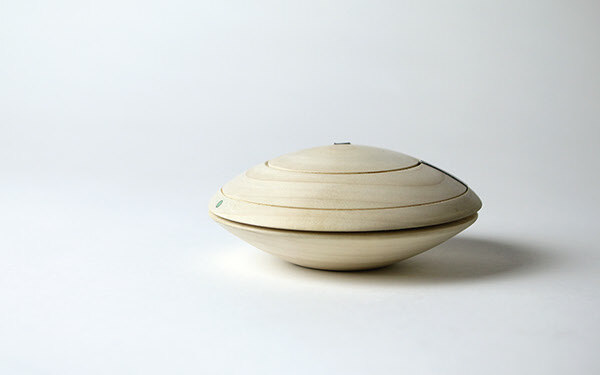 Its form references the shape of a discus. 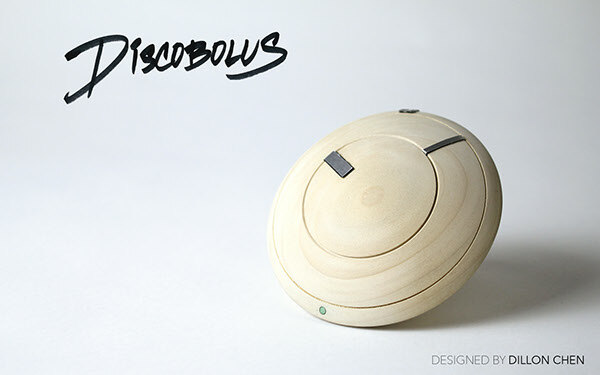 Compact, lightweight, and comfortable in your hands, “Discobolus” sits level on your desk. Three separate rings act as the second, minute, and hour hands. 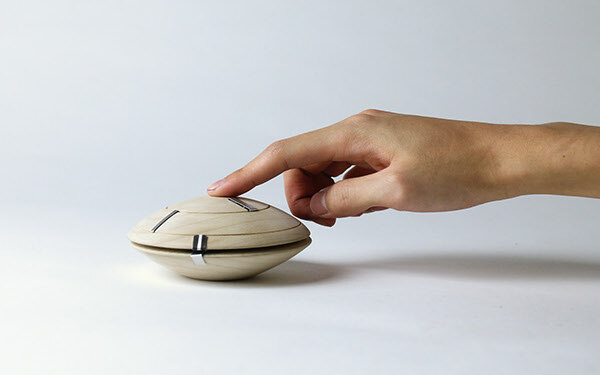 Their graudual rotation creates a “moving” clock face that illustrates the passage of time. “Discobolus” puts a modern spin on the traditional key wind clock. It is wound up by twisting the back piece in a clock-wise motion. After several twists, the second, minute, and hour rings will begin to tick in their respecitive pace. 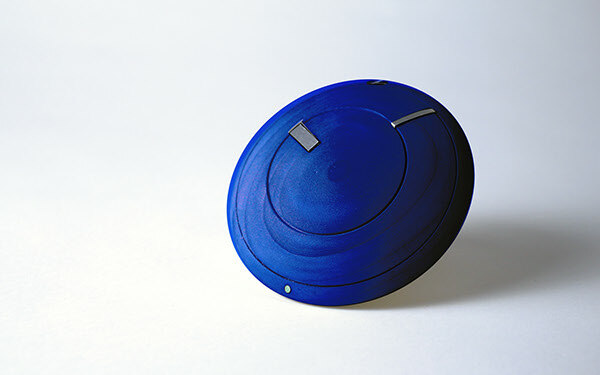 A low profile alarm lever slides around the entire disk to wind the alarm mechanism. The 12th hour marker is used as reference. The hour ring, or the highest point of the curved clock face, acts as the snooze button. Tap once to snooze, tap twice to turn off the alarm. The body of “Discobolus” is turned out of one piece of local poplar wood. American hardwoods are renewable, abundant, and sustainable. With the key wind mechanism in place, “Discobolus” operates free of metal screws, plastics, and batteries, all of which harm our enivornment when disposed of improperly. Utilizing hardwood gives manufacturers the opportunity to produce an endless variety of color variants with water based acrylic stains and protective finishes. Midnight Blue, pictured above, gives “Discobolus” a more modern and bold look. 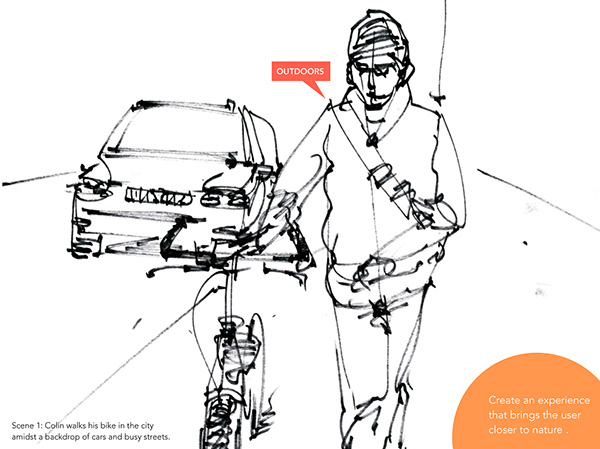 The design brief called for a gift time piece inspired by Colin Beavan, a New York based author who recorded the attempts of his family at living a zero environmental impact life style for a year. My research team viewed and storyboarded “No Impact Man,” the film that documented Colin Beavan’s “zero impact” lifestyle, in order to identify Colin’s needs as an environmentalist consumer and define his relationship to time. We concluded that Colin’s relationship to time was based on his strong connection with nature. This was an opportunity to design a time piece that was abstract, minimal, and reflected the natural passage of time. The preliminary step to designing a time piece was to study a pre-existing clock, deconstructed. Upon examining the multiple parts required to construct this battery operated clock, it became all the more important for my time piece design to be as minimal and efficient as possible. 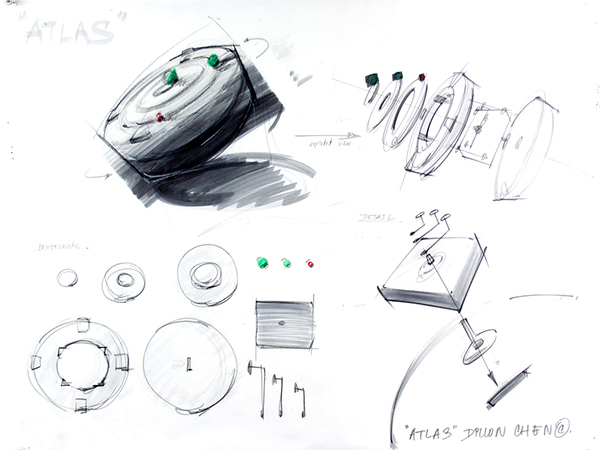 The original ideation, “Atlas,” reflects the orbital movements of planets. Earth’s rotation results in the change between day and night, the change of seasons, and ultimately, the passage of time. Atlas was meant to signify a map of stars, or a map of time. 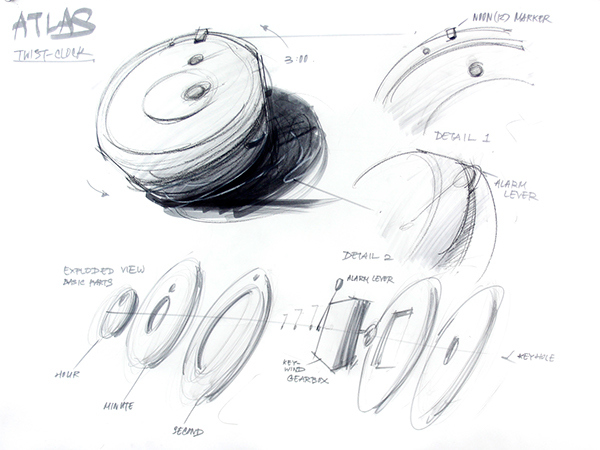 The key wind mechanism was important to my design because it introduced a unique, straight forward way to interact with the time piece. Twisting two discs against each other feels natural to the user’s muscle memory. Like twisting a cap off a glass jar. 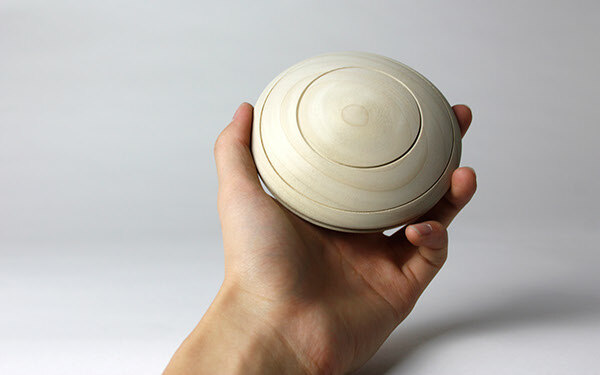 “Atlas” is reshaped into an organic form that feels more confortable in the hands. The overall sillouhette becomes lighter, sleek, and streamlined. “Atlas” is constructed out of laser cut bass wood. This model was able to illustrate moving hour, minute, and second rings. “Discobolus” is constructed by turning two pieces of poplar wood on the lathe. 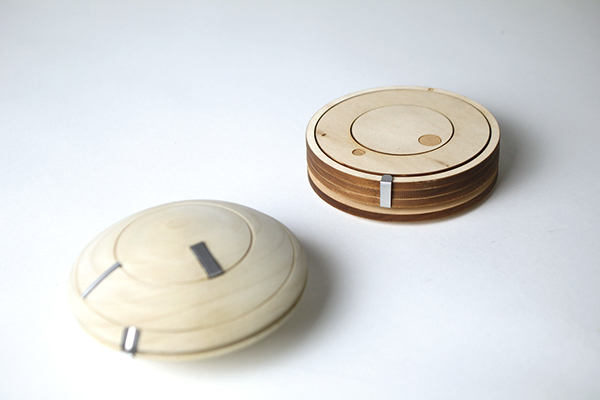 The two discs were then screwed together to animate the twisting/winding of the time piece. 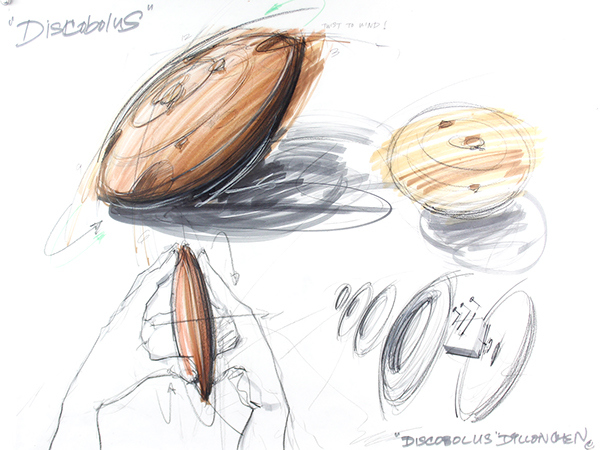 "Discobolus" is a hand held time piece design that seamlessly merges a refined user experience with low environmental impact. The design process is thoroughly explored through the invention of "Discobolus".